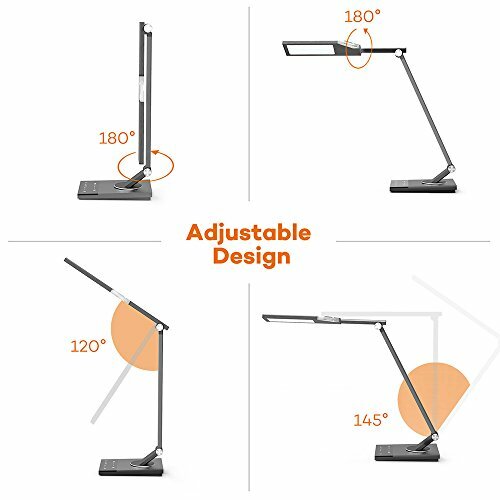 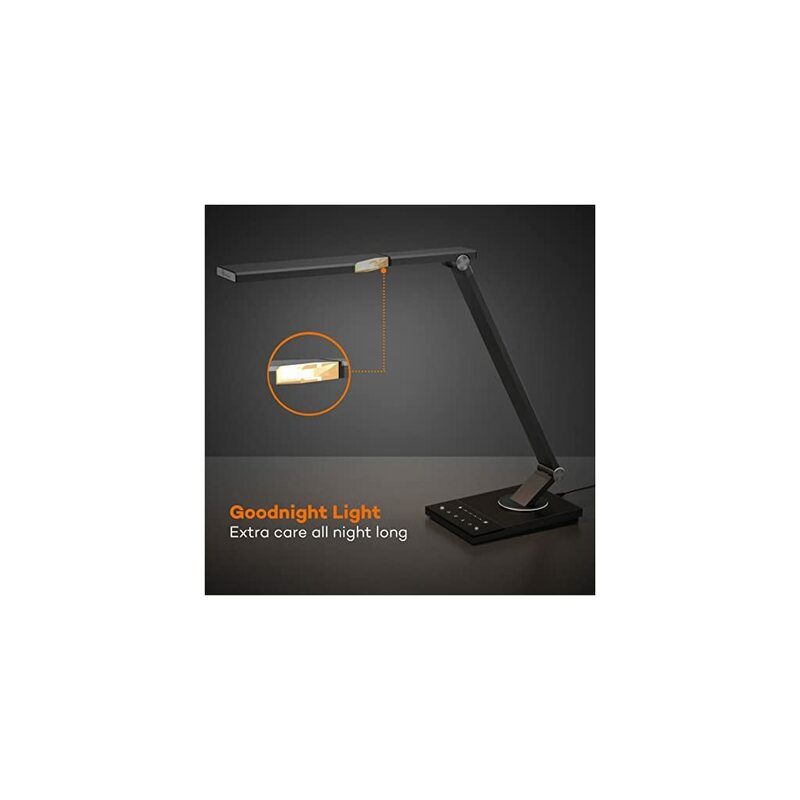 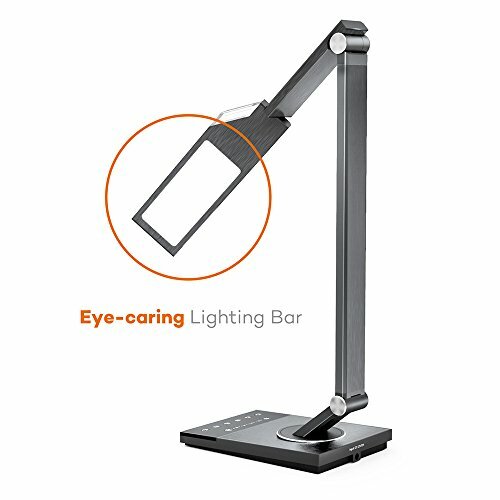 The TaoTronics Multi-function LED Desk Lamp permits you to choose from 5 light modes and 6 levels of brightness for the very best lighting. 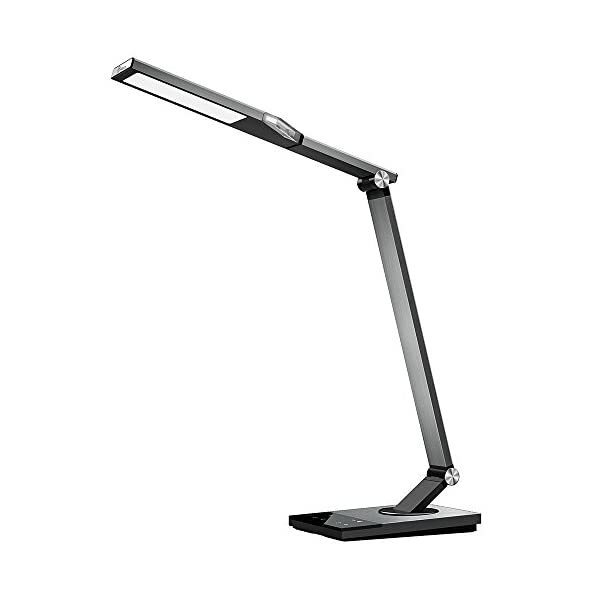 With a full metal body and top of the range LED light will also be an art-piece on your desk, whether it’s on or off. 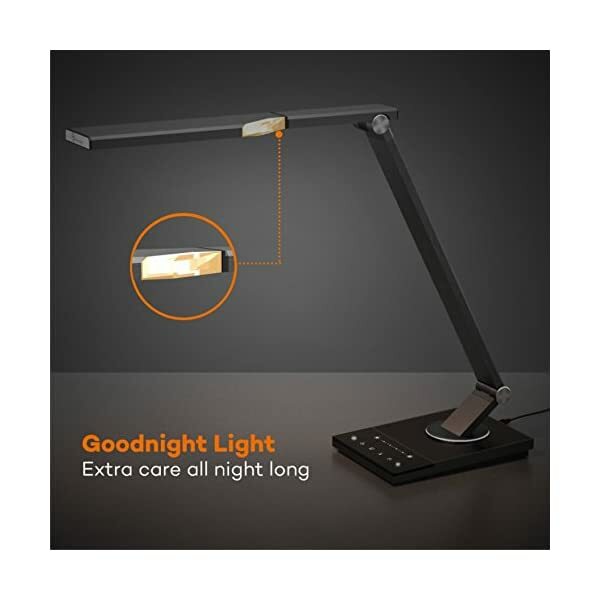 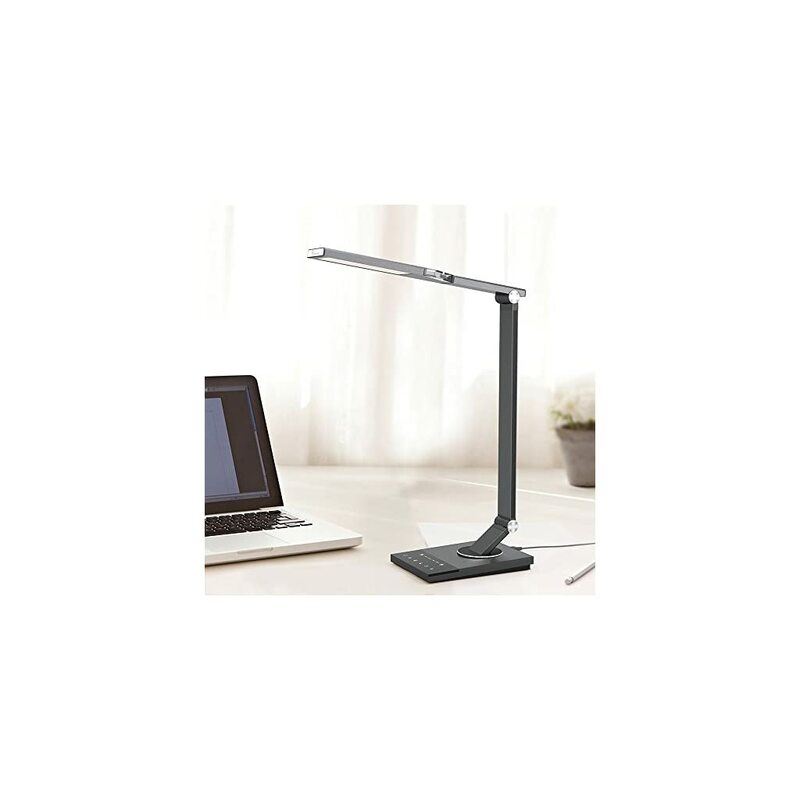 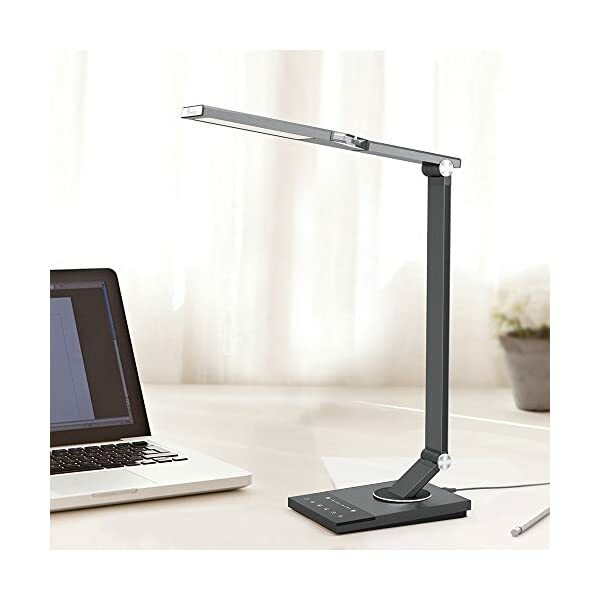 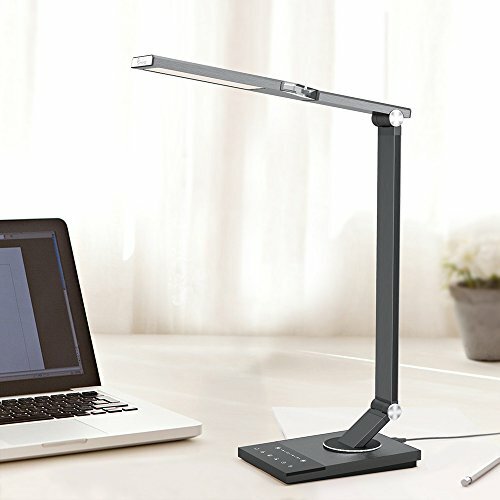 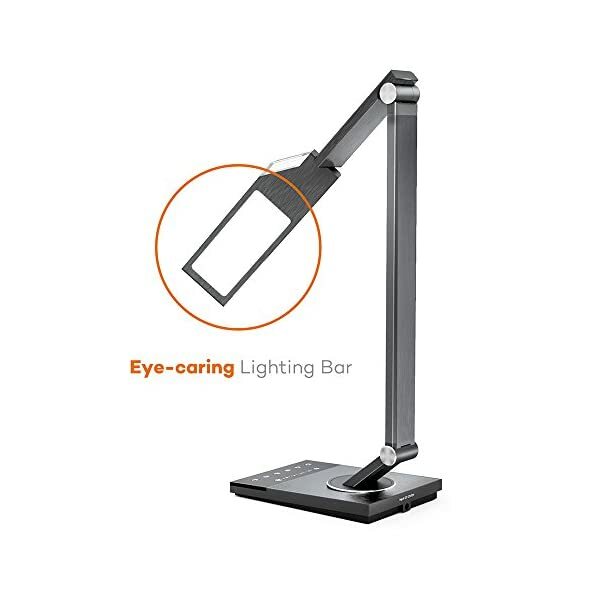 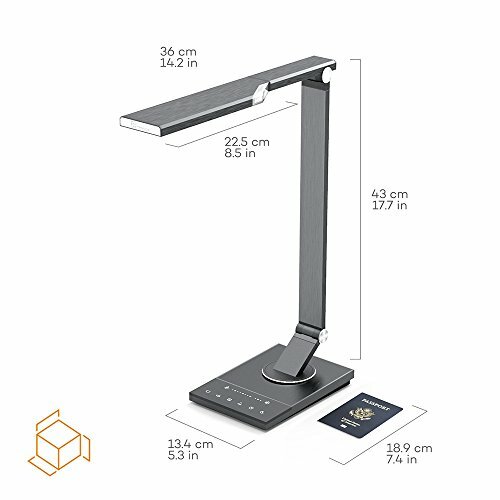 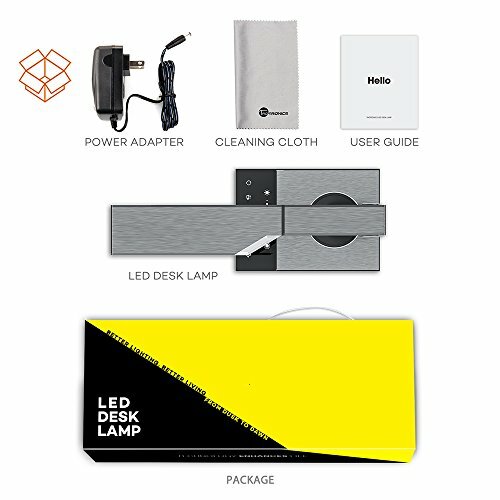 The TaoTronics LED Desk Lamp features a full metal, streamlined, and minimalistic design – a classy addition to your home and office. 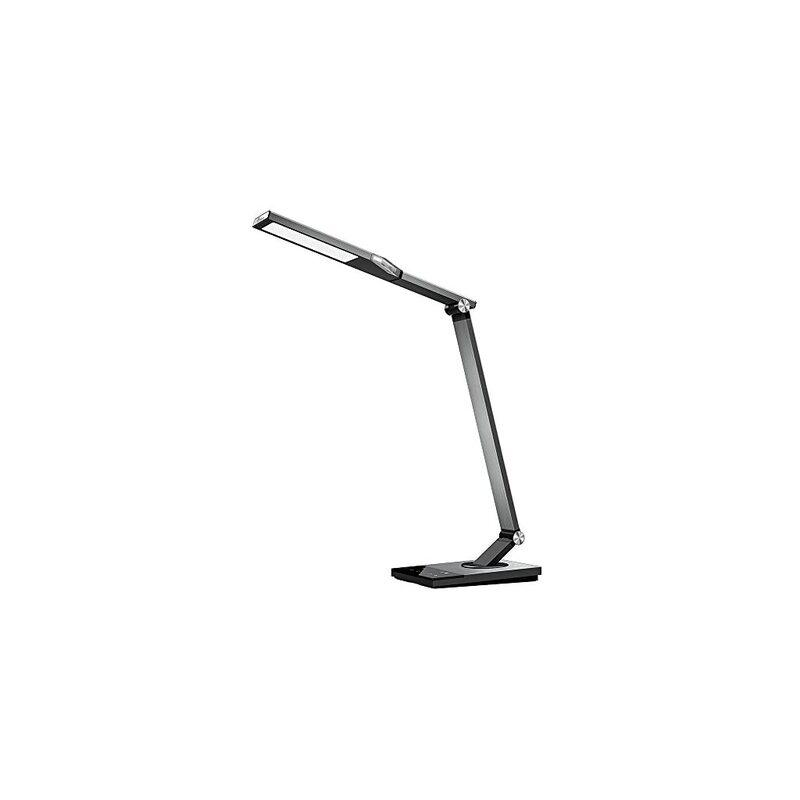 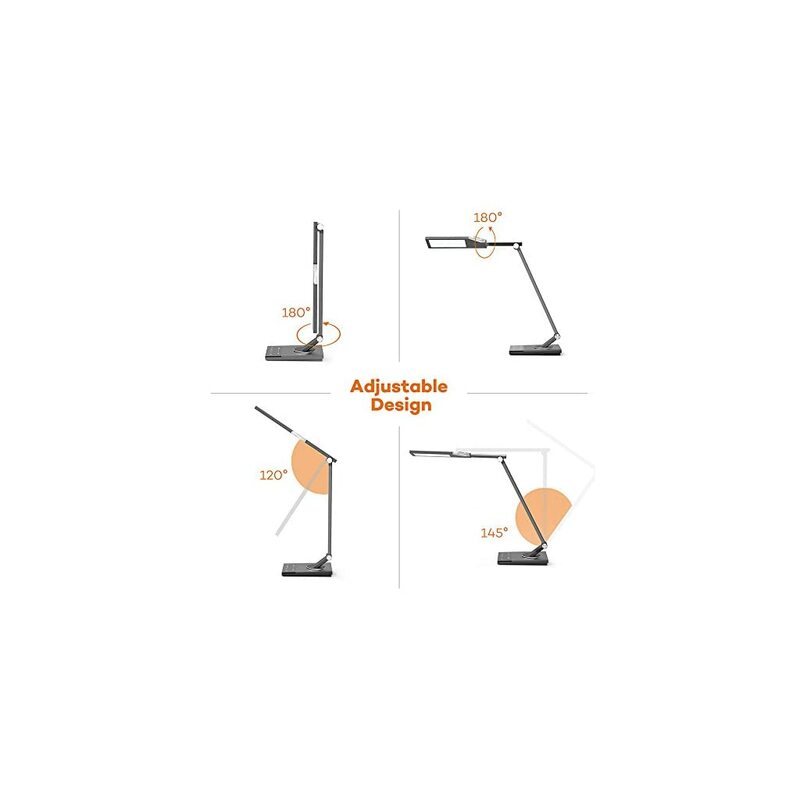 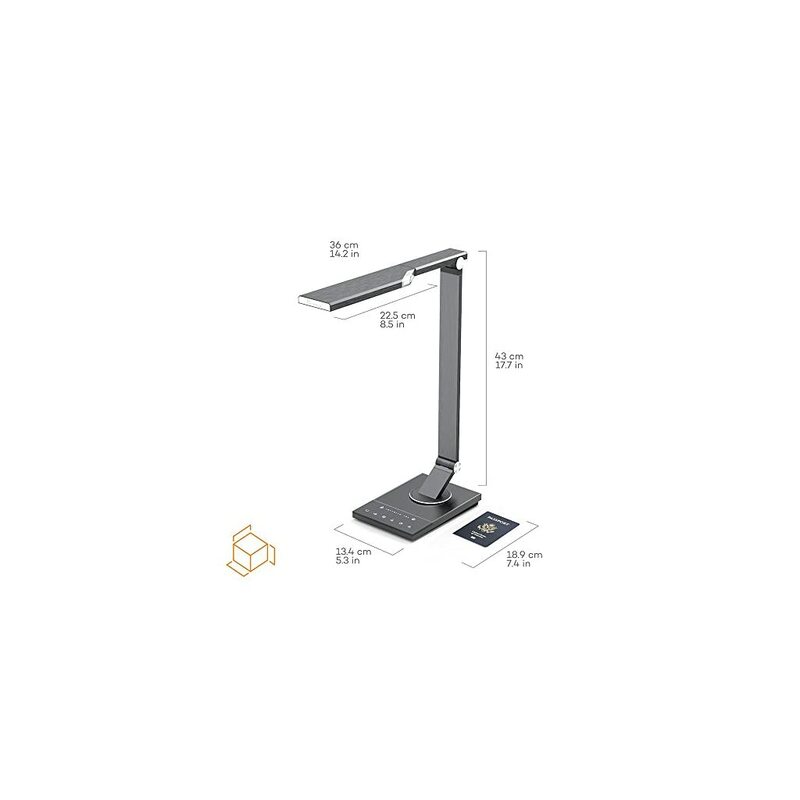 A multi-directional adjustable lamp head and arm bring the right light to you with a simple flip. 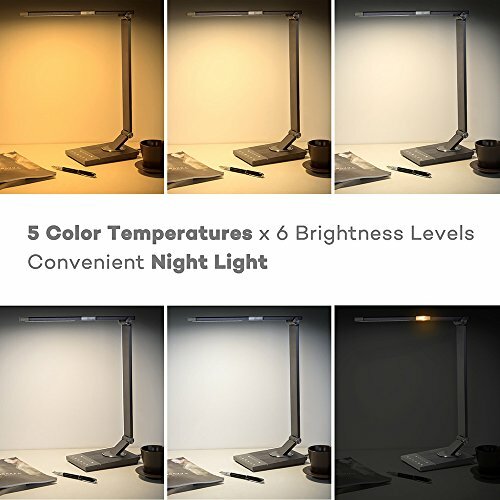 5 color modes and 6 brightness levels to adjust to your eyes on different occasions. 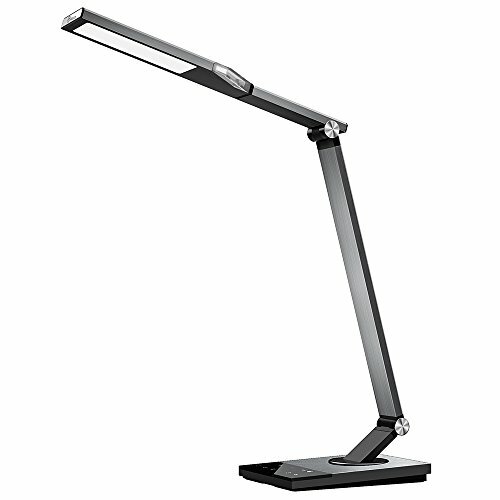 The light reaches up to 1200 lux under 15.8 in / 40 cm of height in 6000-6500K , making it the brightest light available on the market. 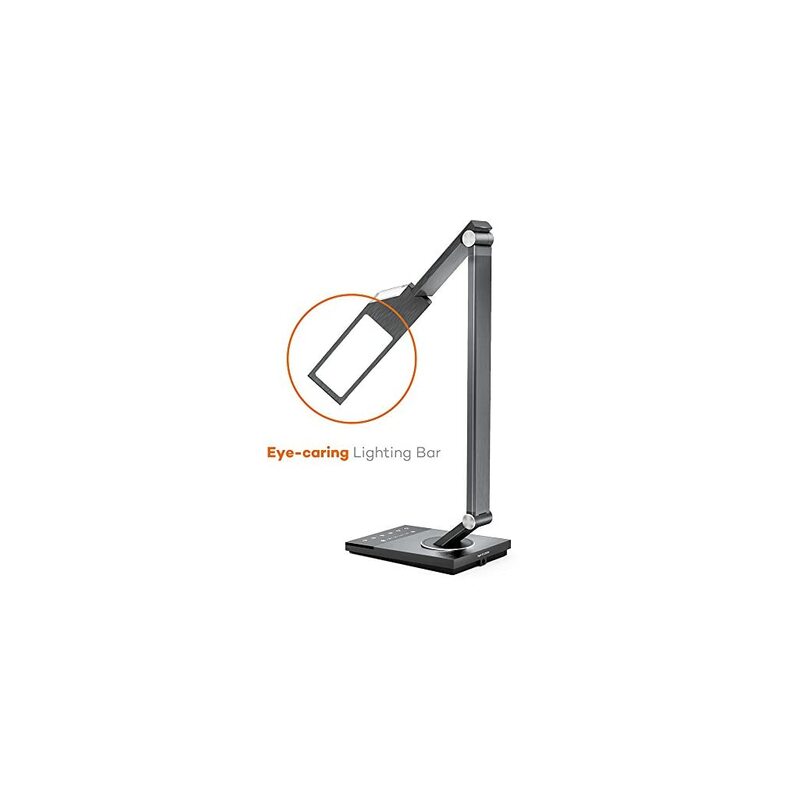 Special acrylic light guide panel reflects the light to the side for the most eye-friendly glare-free illumination. 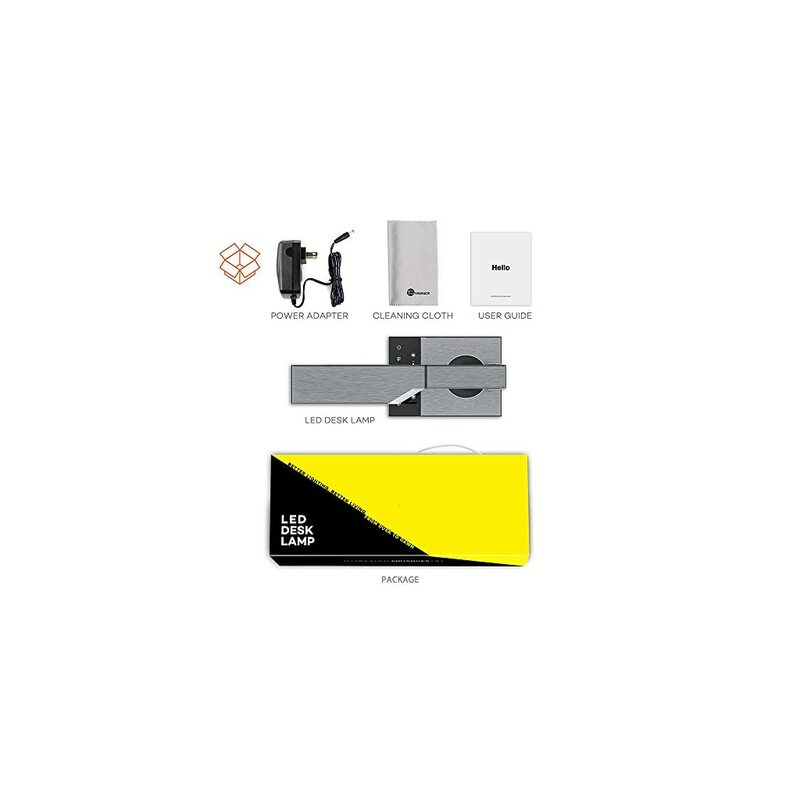 Aluminum heat sink quickly dissipates the heat allowing longer lifespan and consistent lighting. 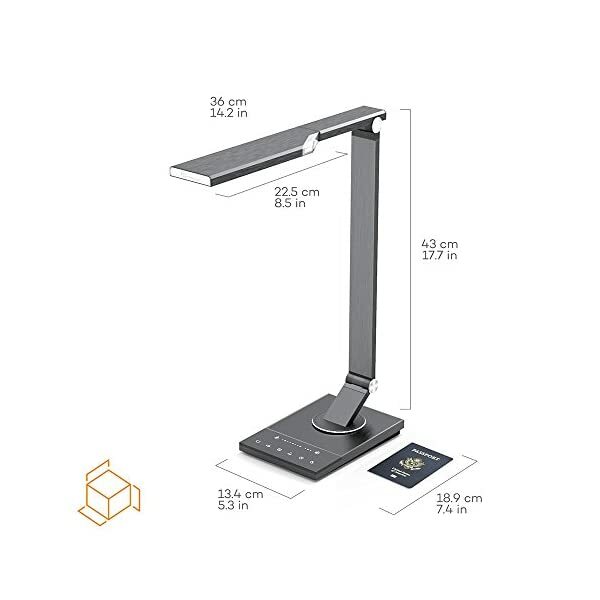 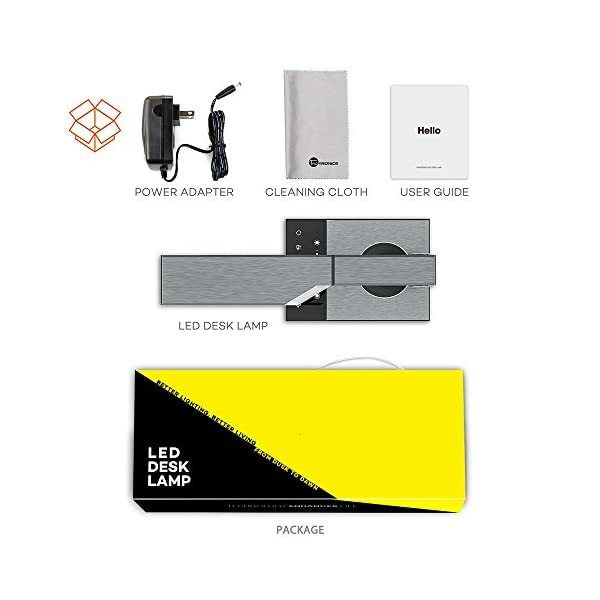 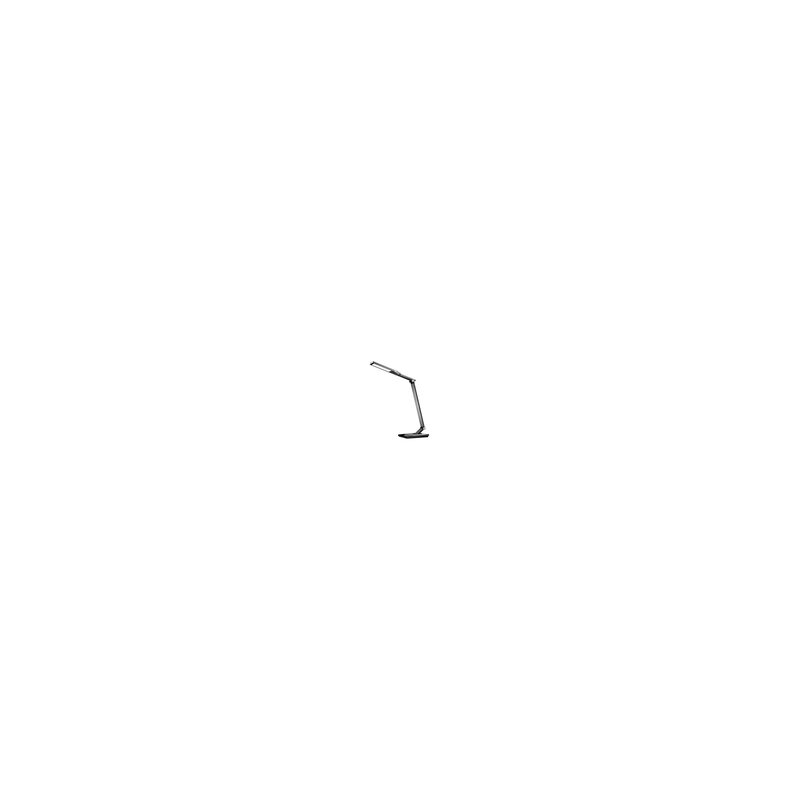 With its memory function, the LED lamp can automatically return to a previous setting. 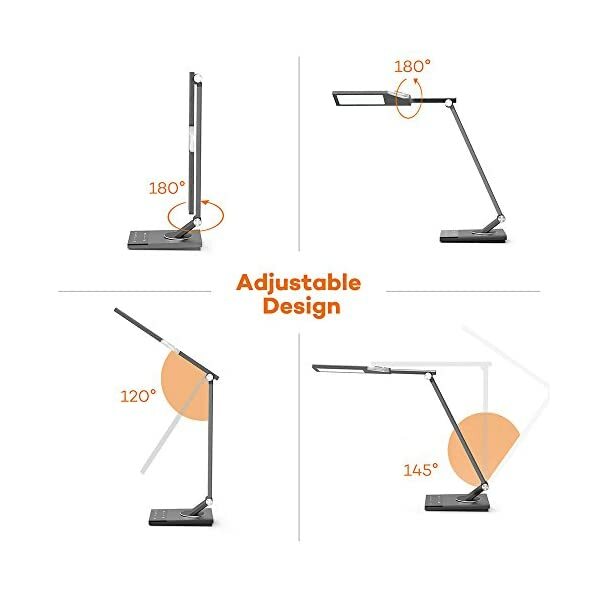 You’ll be able to also set your favorite light / brightness setting in addition to a 60-minute timer. 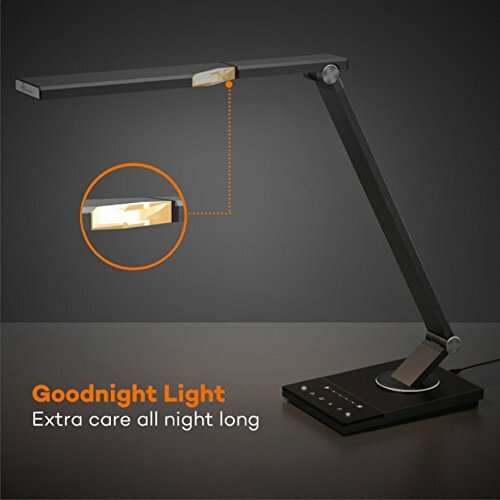 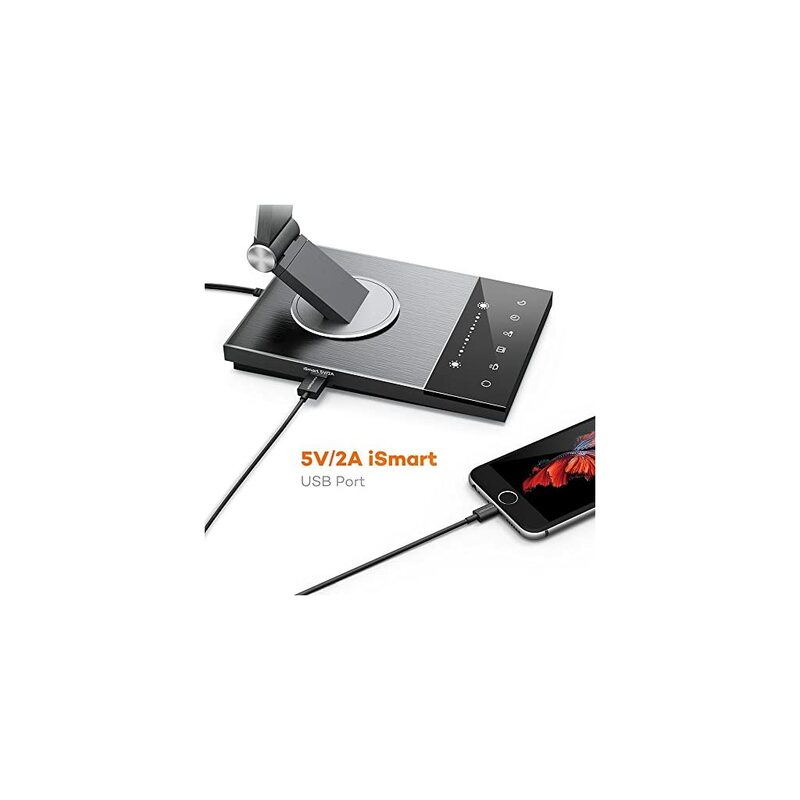 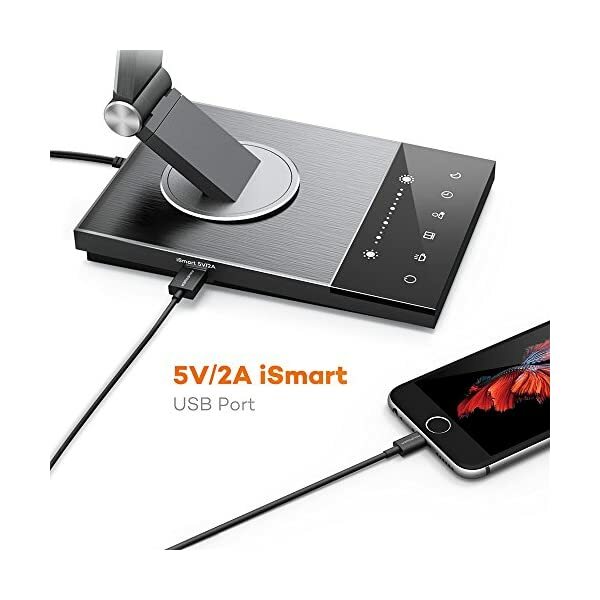 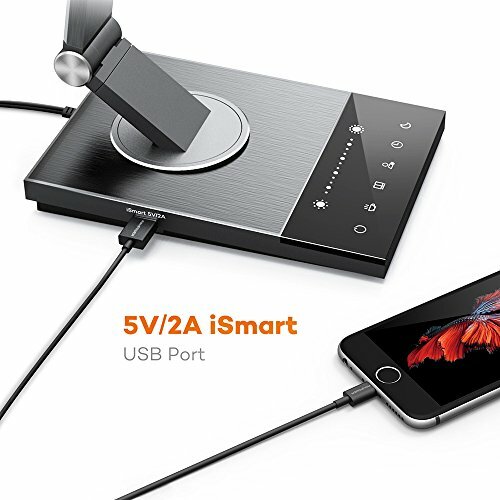 Additionally, it has a convenient night light and a 5V / 2A iSmart USB charging port. 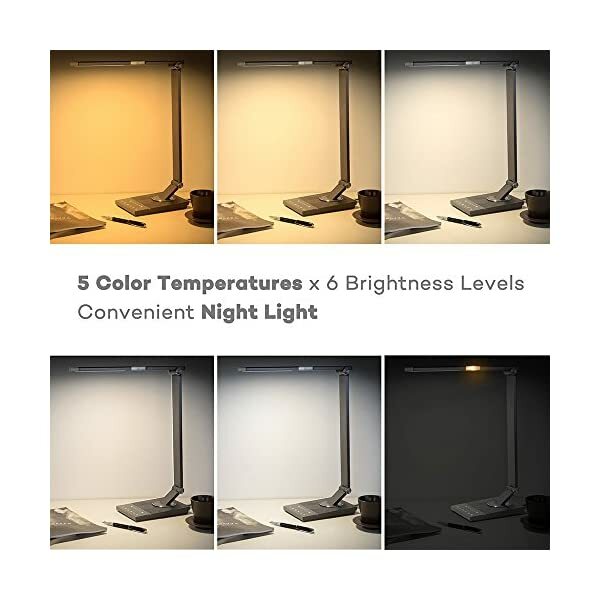 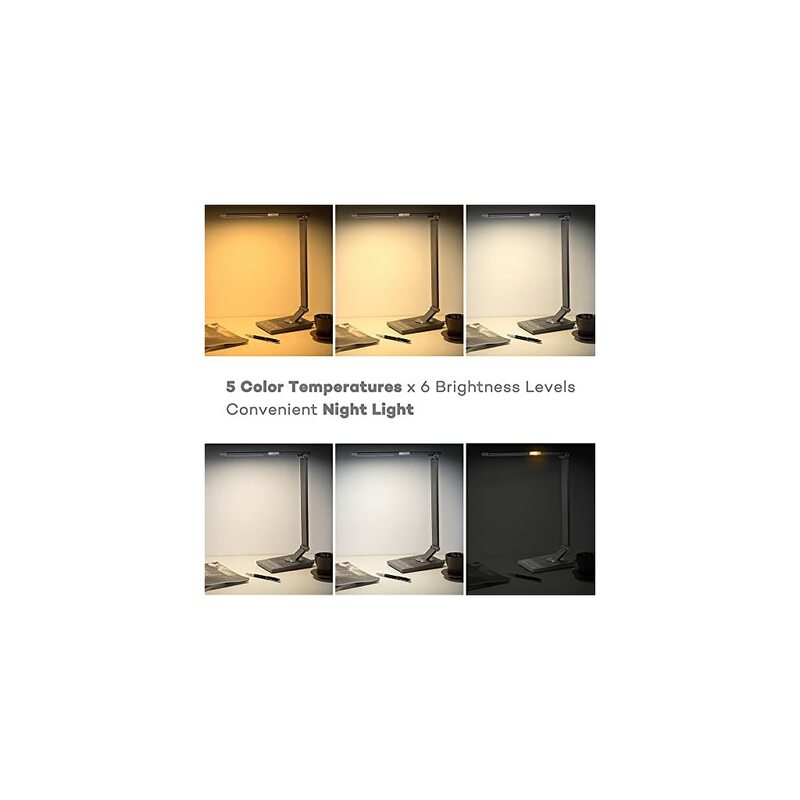 5 color temperatures include: 2700-3000K warm white, 3000-3500K soft white, 4000-4500K natural light, 5000-5500K daylight, and 6000-6500K cool white light.